Installation: Secret-nail to a wooden sub-floor with a Portanailer gun or glue directly down to a concrete or wooden sub-floor with Bona R850, R844, Sika T54, Sika AT80 or Sika T2). Finish: Un-Finished - To seal use a one of our lacquers by Bona or alternatively use one of our oils by Osmo. Solid hardwood flooring is very popular because of its traditional and luxurious appeal. 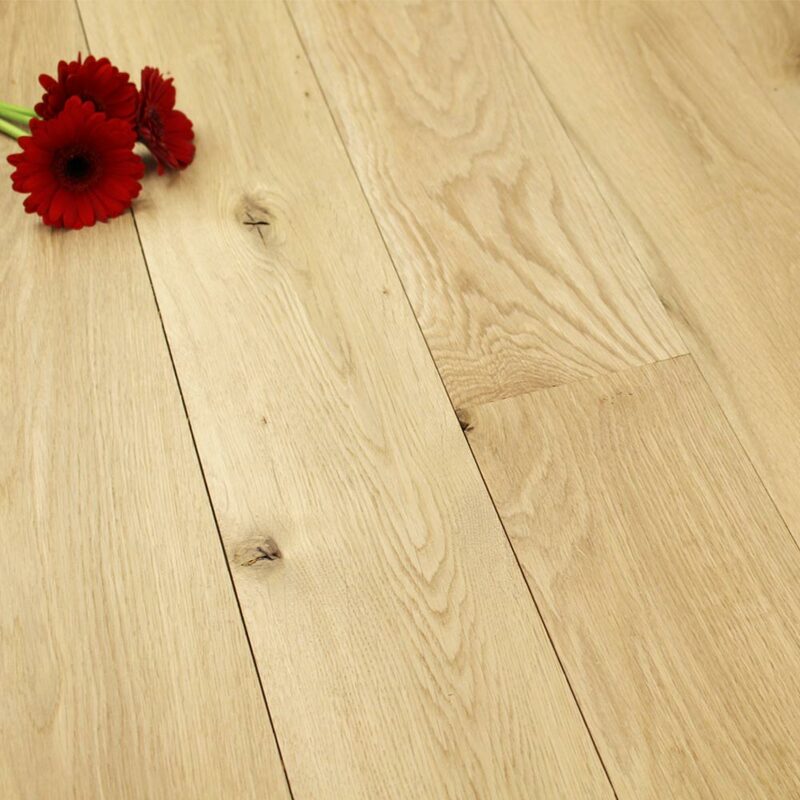 It is made from one solid piece of wood which has been cut, sanded and machined into planks of flooring. 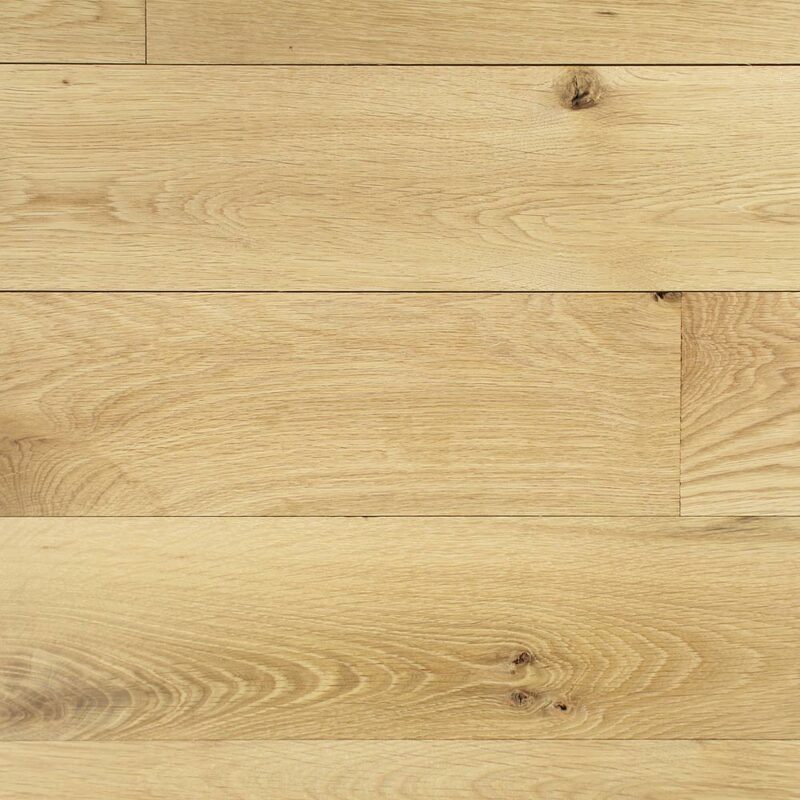 One of the main benefits of solid wood flooring is that it has a long-life expectancy as it can be sanded and re-finished a number of times, which helps to revive its natural beauty and elegance. Tosecret nail your hardwood floor down you will need to use the correct equipment (e.g. portanailer gun and Toothed nails NOT Brad nails) so that the wood does not come loose in the future. The nail goes into the tongue of the plank of flooring so will be completely hidden from view. 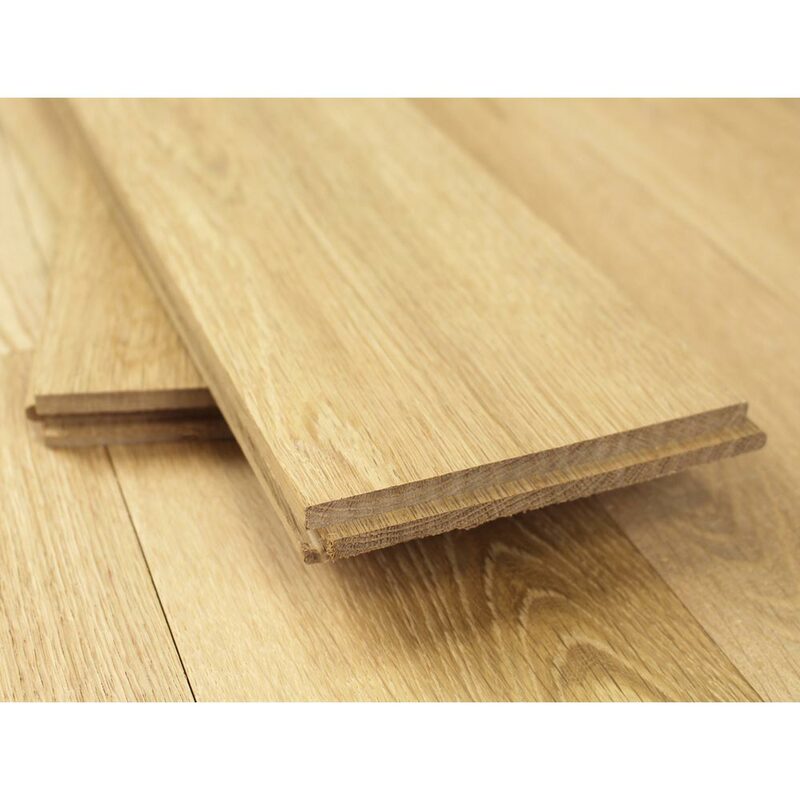 Either solid wood flooring or engineered wood flooring with a tongue and groove profile can be secret nailed to the subfloor.